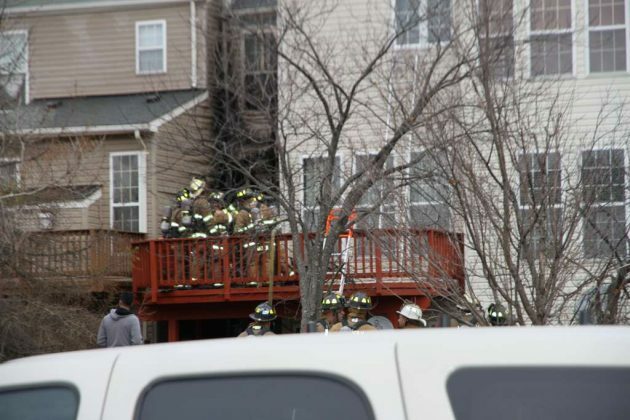 A Herndon townhouse suffered heavy damage in a Friday afternoon fire, but all occupants are safe. 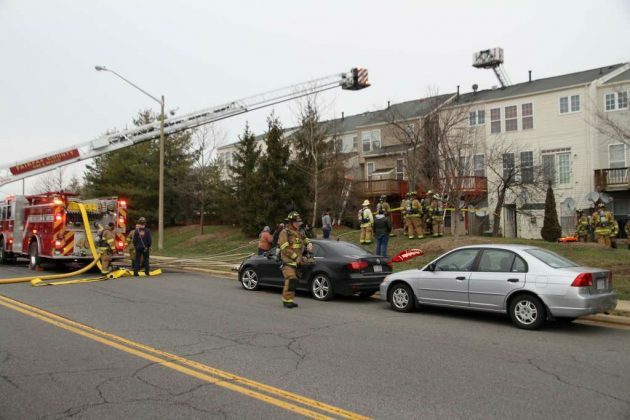 Fairfax County Fire and Rescue crews responded to a report of a blaze in the 2500 block of Chase Wellesley Drive, off McNair Farms Drive, around 3:30 p.m. Friday. A pair of ladder trucks were involved in battling the flames, which were quickly brought under control by the responding units. 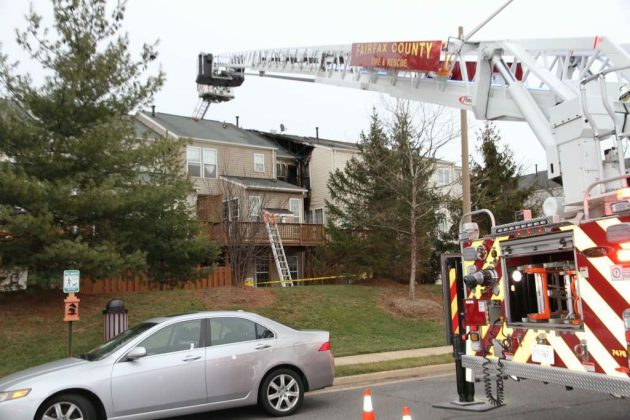 According to Deputy Chief Anthony Barrero of Fairfax County Fire and Rescue, the fire started with an outside gas grill. Barrero said two adults were home at the time of the blaze; however, a total of four adults and two juveniles were living in the townhouse. The Red Cross is assisting the residents. No one was injured in the blaze, Barrero said, and there were no pets in the home. The townhouse is a middle house in a row of attached dwellings. Barrero said the fire did extend to one neighboring home, which he said suffered “very minor damage” on its second floor. The fire caused an estimated $90,000 in damage to the townhouse itself and $10,000 in damage to contents, Barrero said.